It didn't take long since it was announced that Jonah Hex was coming to an episode of 'Legends of Tomorrow.' 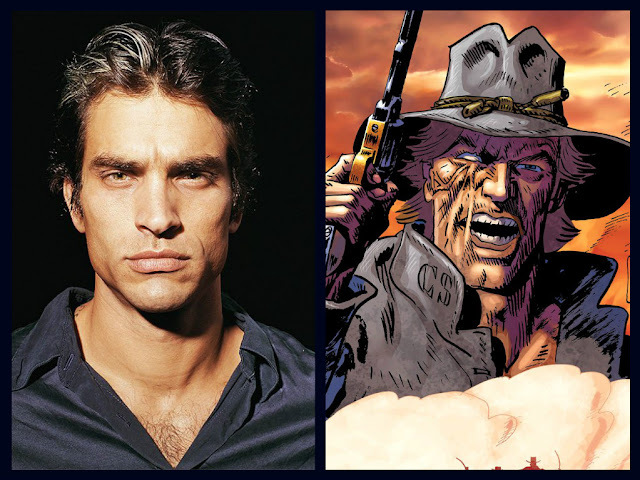 Johnathon Schaech (That Thing You Do, Star-Crossed, Texas Rising) has been tapped to play the DC Comics Western antihero when the team travels back to the Old West. Hex is described as "a true legend of the Old West, a morally ambiguous gunslinger with a penchant for danger. Surprisingly, he knows a thing or two about time travel and the future, but is at home in the Wild West. He’s been battling outlaws and gangs for awhile now, and advises the team to be extra careful when they arrive in the small town of Salvation." Executive producer Marc Guggenheim has said, "if you’re going to do a story set in the DC Universe version of the Old West, you simply must include Jonah Hex in it. We’re thrilled about bringing another well known, beloved DC character to television." Schaech makes his debut as Hex on the eleventh episode of 'Legends of Tomorrow' with the possibility of a recurring role. You can catch the premiere of the series beginning this Thursday, January 21, at 8 p.m. on the CW.